In January, Doreen Virtue did an Angel Card Reading for 2016. After that reading, I put each Archangel’s name on the first day of each month on my personal calendar. As I started sharing Lena’s Power Path Monthly Forecast, I thought it would be interesting to see how the two correspond to each other. I am amazed at the accuracy of both, and how well they work together. The Archangel of the month is Archangel Gabriel. Archangel Gabriel is considered the messenger angel, more importantly he is the one who specializes in all aspects of communication, nurturing children, mother’s, adoption, and our own inner child. Archangel Gabriel will also assist anyone stepping into a leadership role or guiding and teaching others. With everything that’s going on this month I think it’s important to take really good care of ourselves and remember that no matter what is happening around us, we are still the Captains of our ships. It is up to us how we respond (or not). Continue doing everything you do to stay centered like yoga, meditation, walking, moon phase bathing, or any mindfulness activity. Spend a few minutes daily with the Archangels and ask them questions. This month is all about how we communicate . . . . with each other, children, and ourselves. Then there’s the unspoken message we beam out to the universe daily. Ask Archangel Gabriel to help you communicate all of it clearly, and with loving kindness. September 22nd – Mercury Goes Direct/Fall Equinox (We may feel the effects of Mercury in retrograde well into the first part of October). September 30th – The second new moon of the month, 6:12 p.m. MDT. As always, I ‘m sending you good vibes! The main theme for September is “TAKING CARE OF BUSINESS”. It is a month of “getting your ducks in a row”, finishing projects, handling details, finally getting to what you have procrastinated, and making choices about what stays and what goes. Mercury has gone retrograde for several weeks giving us a good container for the discipline and attention we need to stay focused on what is important. What supports us during this process is the opportunity to open our hearts to what is truly ours and to embrace our “business” from a place of acceptance and commitment instead of resistance. There are a couple of subthemes and important influences we will be working with this month that are a necessary part of “taking care of business”. One is PROCRASTINATION. You know who you are, those of you who make a habit of procrastinating. Whatever the reasons behind your procrastination, it is time to “DO IT NOW” or eliminate it from your life completely. We advise making a sign of “DO IT NOW” and posting it somewhere where you are sure to see it all the time. Because taking care of business this month includes tasks that you are way behind on, procrastination will be an influence to deal with. Procrastination holds a lot of energy. Whenever you procrastinate you spend way more energy worrying about, planning for and feeling bad, than the thing itself would take to do. People procrastinate for several reasons. 1. Fear. Fear of failure, fear of judgment or rejection, fear of success, of showing up and being seen, of inadequacy and ignorance. Usually this fear can be cured by reaching out for help and support. 2. Resistance. They just simply don’t want to do it. Either it is not theirs to do or they are in defiance towards the person or entity that has given them the task. The cure is to get off the fence and either take responsibility and do it, or eliminate it from the “to do” list. Another theme we are working with this month is the theme of RESPONSIBILITY. What business is yours to take care of and what business really belongs to someone else? We recently did a workshop called “getting your ducks in a row” which is very much the discovery about what the business is that you need to take care of. The discovery also includes what ducks are in your row that are not yours and eliminating the habit of taking care of other people’s ducks. It’s also important to acknowledge where you have been handing your ducks over to someone else and not taking responsibility for them such as your health and your personal happiness and well-being. So tell the truth, forgive yourself and others and get your own ducks in a row. So what Business are we talking about that you may need to take care of? It can be anything from dealing with your taxes to fixing a crack in the wall or getting some overdue acupuncture, or starting that meditation practice you have been talking about for months, or finally losing the extra 10 pounds you have been carrying around, or dealing with a communication you have been putting off, or making a change in your life that you know is necessary. It also includes getting rid of old clutter that holds energy, reconfiguring your personal environment to better support you, finishing what can be completed and handling all the details that come your way in a timely and focused fashion. The key is to tackle your “business” with an open heart, and with enthusiasm and inspiration rather than dread. Don’t go at it alone. The collaboration theme of last month continues with the opportunity to always ask for help, making “taking care of business” potentially fun and communal. This is a time where a shift in consciousness is being supported by planetary influences. Taking care of our business and getting our ducks in a row will insure that we move into this new consciousness without old baggage. Much of the “business” to be taken care of this month falls into the personal category. The “business” can include changing old habits, eliminating doubt, working on your self-esteem, forgiving others, dropping old resentments and blame, telling hard truths, taking responsibility for what you have created, caring for your health, and becoming more responsible for your choices, decisions, well-being and happiness. Notice what and where you have been procrastinating self-care and do some work on rebalancing that part of your life. There is a great opportunity and lots of support this month to declutter your resistance to doing what you know is best for you. It is an opportunity to embrace discipline as something fun and inspiring instead of something totally undesirable. You could even say that his month provides us all with a great opportunity to finally “grow up” and take responsibility for our lives. In terms of physical health, this month supports finding good health through more responsibility and doing what it takes to achieve it. We are still plagued by ups and downs in energy levels, adrenal issues and balancing hormones and the glandular system. It is a good month to get acupuncture or work with someone that can support that balance. Things that need to be said, things that need to be changed, things that need to be forgiven or acknowledged or blessed, are all part of taking care of relationship business this month. Look to the details of what it takes to begin, develop, sustain, or end a relationship and become conscious of where in this flow certain relationships fall. Communication is a big one and Mercury retrograde allows us to focus intently on how we communicate, what we say, what we mean, and from where the communication comes. Is it coming from the heart or the head? Are you communicating just what you think the person wants to hear or is it truth? Are you coming from a place of love and compassion or a place of judgment? How willing are you to tell the truth and to be with others who also tell the truth? Part of uncluttering the psyche is to let go of resentments, expectations, judgments, shame, guilt, regret and anything else you may still be carrying around from old relationships including the relationship you have with yourself. These energies are baggage and they are cluttering up your ability to create new relationship patterns that would serve you better. So take care of the business of eliminating them once and for all. Cut the old loose and make way for the new. A good month to focus on the personal environment and to take care of any deferred maintenance that may exist. Even just making a plan and calling in the right support for taking care of things will start moving the energy. You can be inspired by finally getting something done. Be careful that you do not become overly irritated by suddenly becoming painfully conscious of the clutter and disarray that surrounds you. Think of it more as a positive awareness that can be worked with, organized and planned for. Your own personal vibration will go up as you manage the business of your environment and upgrade it by simplifying, fixing and improving. The greater global and planetary environment continues to put us through our paces with natural events and challenges. Taking care of business becomes very much about taking care of community and collaborating on managing issues caused by or related to the environment. It also teaches us about being responsible and responsive, present and focused. You cannot procrastinate when there is a flood, storm, earthquake or any other phenomena that requires immediate attention to taking care of business. Weather patterns are changing and we need to be responsive to them instead of complacent and in resistance. Always come from the heart when taking care of business in your business but at the same time stay focused on the details and on what has to be done. Procrastination is definitely throwing some lessons our way this month and it is best to work through timing issues with patience and determination. Communication can be challenging and glitches will certainly occur. If you keep an open heart, it will go a long way to smooth out energies that can otherwise be problematic. It is hard to be overly critical when you have an open heart and it also makes it easier to see what is not congruent and what needs to change. You may not always have the intellectual understanding but you will know the truth about what is right for you. This will affect taking care of business with projects and partnerships and not everyone will be on the same page. You can expect that some projects may have to go through a major restructuring that will chaotic in the short run but beneficial in the end. The first few weeks of this month are a real set up for what is to come. So get your ducks in a row with regard to what you want out of your life, business or otherwise, and then take care of the business required to set it up right. Once Mercury goes direct, it’s all systems go. September 1: New Moon and partial solar eclipse is Thursday, September 1 at 3:03AM Mountain Daylight Time (MDT). A New Moon is always good time to reset and refine intentions and when it is accompanied by an eclipse is carries even more power. We are moving into a time of consolidating and collecting our energies for what’s to come and this New Moon time is a great time to review where you have been and where you wish to go. The most important thing is to know what you want. If you don’t know what you want, at least tell the truth about what you don’t want. Eliminate what does not work, what no longer fits, and open the possibilities for something new to become clear and begin to emerge. September 1-7: Still under the influence of the New Moon and eclipse, the first few days of September will be a great time to go within and to make some inner decisions and personal commitments that will put certain things into action for you in the future. It is a time to set things up in the right way, realign your goals to match your heart’s desires, get the support you need, and make a plan. The plan will be influenced by what you discover about the “business” you need to attend to. Stay focused and “do it now”, especially around any details that come up that need to be dealt with. For example, if the maintenance on your car is way overdue, your car will let you know. If you have been putting off some piece of important self-care, your body will let you know in ways you can no longer ignore. The Mercury retrograde time frame (until the 21) is designed to support us in being able to pay attention and to focus on the details that need to be taken care of instead of being derailed by the larger picture inspirations. Those can wait. September 8-15: A very busy time frame that may have you feeling overwhelmed with the business you are taking care of. Make it fun and focus on the blessings that your accomplishments are creating. When you feel mired in confusion or unclear about someone else’s communication, or trapped in some drama that is not yours, take a deep breath and remember to act and speak from the heart. Accept any ambiguity as a part of this retrograde cycle, forgive yourself for being irritable, and keep focused on the important tasks at hand. It will important during this time frame to take a break now and then to “stop and smell the roses”, to focus on beauty and all the good that is around you. It can be easy to become petty, blaming and victimized. There is no power in that lower vibration so be careful you don’t go there. Whenever you feel your wheels spinning and you don’t know what to do next, clean something out. Remember that we are still in the time frame between the 2 eclipses when anything is possible! September 16: Full Moon and Lunar Eclipse is Friday, September 16 at 1:05 PM Mountain Daylight Time (MDT). This is the bookend of the eclipse time and serves as a platform for anchoring a new truth that may have come out of taking care of certain business. What is your new truth? How can you support it? What allies and help can you call upon? This is a powerful day and a powerful time to acknowledge your personal power and to tap into a new confidence that you can have the life you want. If you still feel like you have a load of business to take care of, this full moon is a good time to look ahead by getting help and making a good practical plan. September 17-22: (Mercury goes direct on the 19th) This is time of transition especially the transition of ideas and inspiration to direct and practical action. As we approach the Fall Equinox it would be really great if you felt you had at least most of your ducks in a row. Focus on the things that are coming together in a really clear way for you and put your attention and energy on them rather than what is still murky and unsettled. Watch the critical part that wants to scrutinize and discriminate and reject what isn’t perfect. 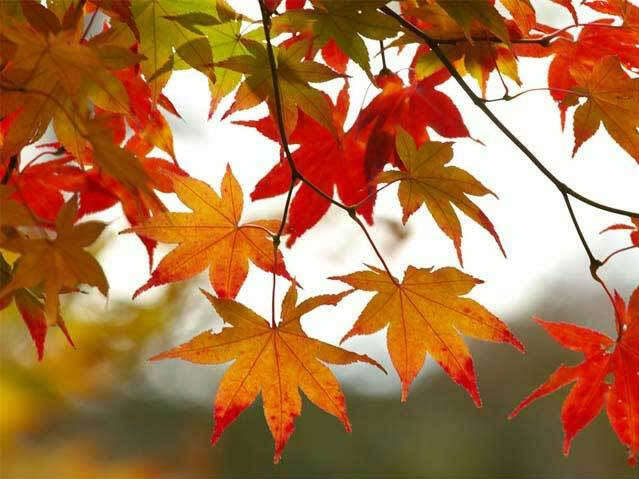 September 22: Autumn Equinox is Thursday, September 22 at 8:21 AM Mountain Daylight Time (MDT). This Equinox is a big one as it comes on the heels of the eclipse time and marks the completion of some very potent astrological aspects. It is good to prepare and acknowledge it in some way. Gather your community, collaborate on a project, honor the harvest. Their focus here should be on abundance as a natural state of being. One of the greatest lessons of these times is to shift our consciousness from one of lack to one of abundance. There is huge karmic completion taking place that is freeing us from the collective cycle of polarization and moving us closer to the experience of abundance for all. After all, the earth, the sky, and the realm of spirit are all unconditionally and eternally abundant. Honor abundance in some way through ritual or ceremony. Acknowledge the gift of who you are and celebrate a new truth. September 23-31: The body needs to catch up. Pace yourself during this time but don’t withdraw or space out. You can be focused and still be present at a slower pace. Give yourself some time to regroup especially when things seem to start moving faster than you can keep up with. It is all systems go but adjustments are often necessary to keep everything running smoothly. Those adjustments can come in the form of clarity, new choices, and finally saying either no or yes to something you have been ambivalent about. The adjustments can also take the form of including something or someone into your life that you had not planned on. This is an exciting time and regardless of how you may feel (depleted or confused), make sure you embrace the excitement and positive anticipation of what the future can bring. For more information about the Power Path, please visit http://thepowerpath.com.